Made from your stash OR a 10 x 10 precut! I love the Window Pane block - - made from strip sets, it is the perfect fit for use with any 10 x 10 precut! Make it from a 10 x 10 precut or your stash, along with additional yardage for borders and binding. The blocks are very versatile with any fabric collection. There are cutting instructions to make the quilt without a precut as well. 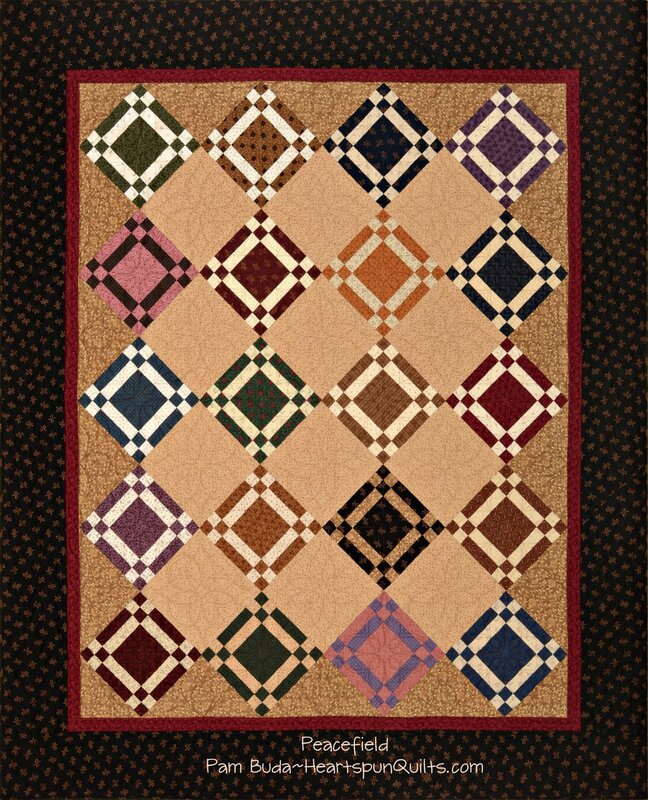 The quilt on the cover was made using a 10 x 10 precut of Pam's Prairie Basics & Shirtings collections. For a limited time, a quilt kit is available. Click here to order. Quilt measures approx 60" x 72"